Ella has been a busy little Jamie Oliver-in-training in the kitchen with flour and chocolate everywhere. A girl after my own heart! Now, I’m not going to lie to you. Kids in the kitchen is just messy. But the confidence, the practical life skills, the joy of all of those kitchen sensations – it’s all worth it. For example, the Tofu Chocolate Chip Cookies were a huge hit with our guests and Ella had so much joy seeing how much they loved her kid-made desserts – and it was also a lesson in compassion and consideration, creating a vegan chocolate chip cookie for our guests with special dietary needs. 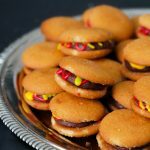 It can be easy to fret over the process of cooking with kids, with flour in every corner of our kitchens, batter on the ceiling, or kids licking the chocolate out of a bowl – but the ability to explore and experiment in the kitchen can lead to the creation of beautiful morsels like these No Bake Cookie Dough Bites. As hard as it may be, hand over the bowl and spoon to the kids and see what kind of wonderful creations come out of your kitchen. 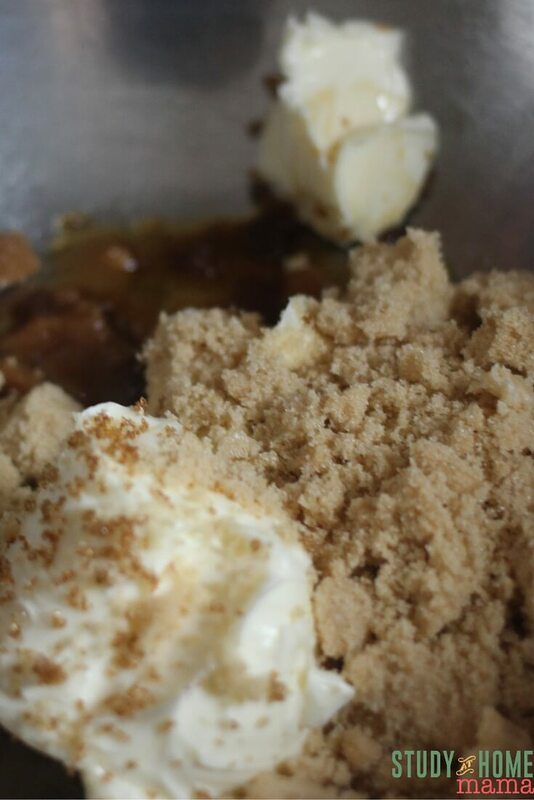 Start by adding butter, brown sugar, and vanilla to a medium bowl. Mix well until combined. Add in the flour 1/2 cup at a time. Mix well after each 1/2 cup, but don’t over mix! 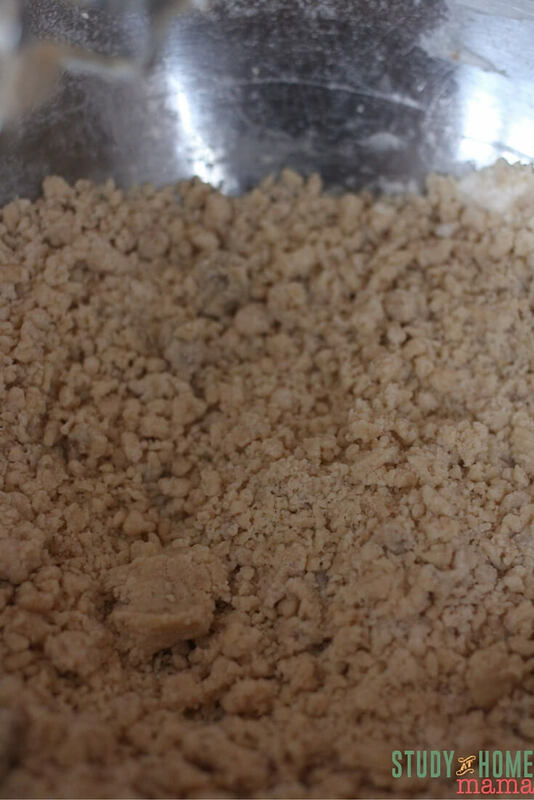 Your dough should be moist, but not wet – a crumbly texture that “smooshes” easily should be good. Use your hands to be sure all the butter is incorporated. Then add in chocolate chips! Mix just enough to incorporate the chocolate chips. Use your hands to roll the dough into one inch balls. 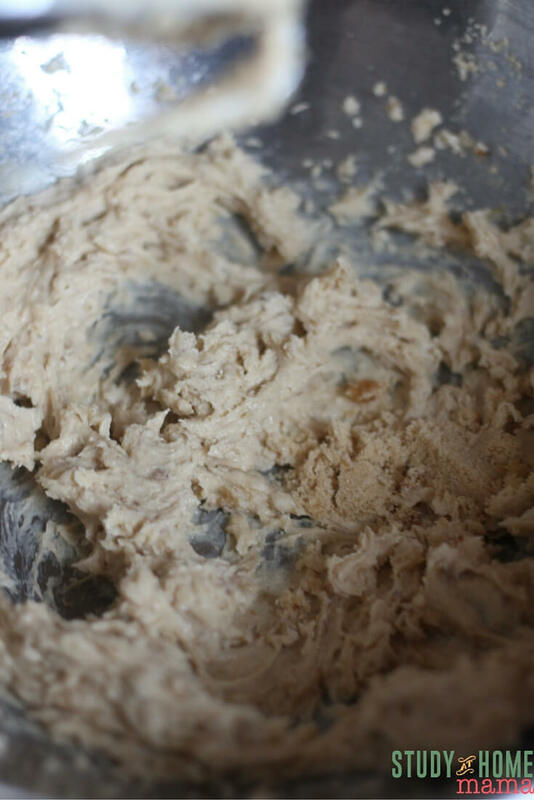 Your child can use a tablespoon to measure out the dough so the ball are even. 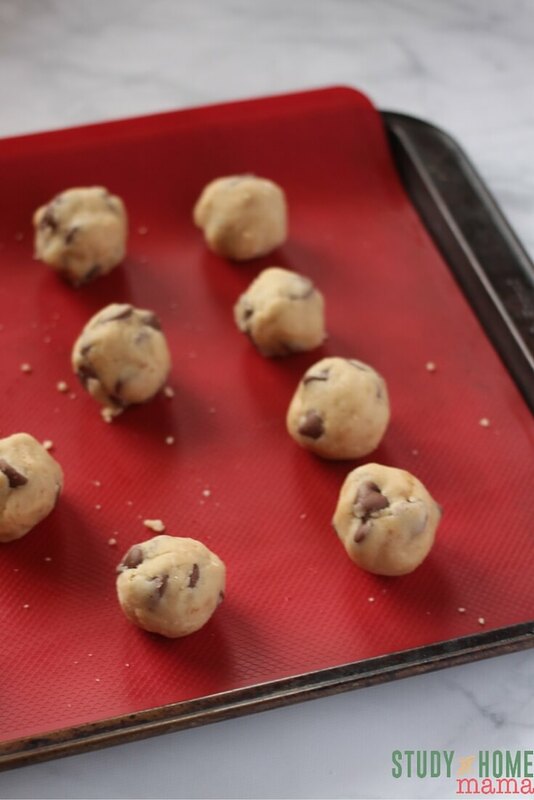 Place the cookie dough balls evenly on a cookie tray and place in the freezer for 10 minutes while you make the chocolate dip. In a microwave safe bowl, add chocolate chips and shortening. Heat for 30 seconds on medium. All microwaves are different so watch this process close! Burn chocolate is no fun to work with. 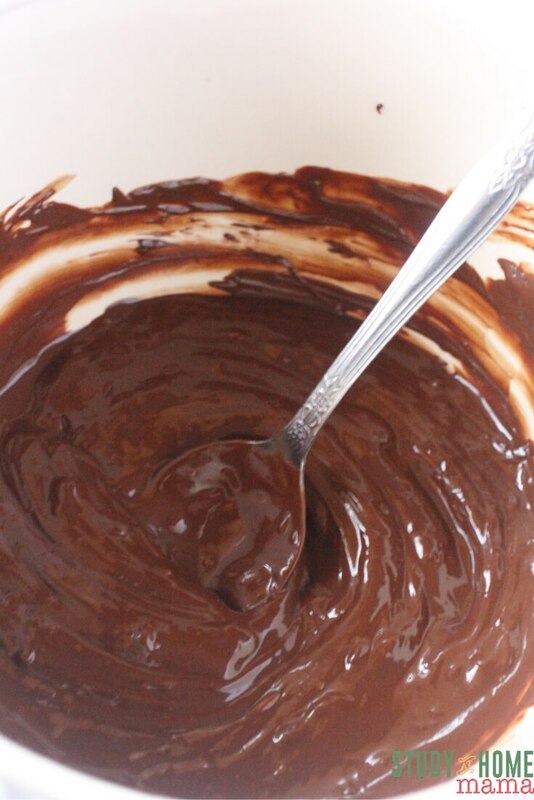 Continue the microwave process until a creamy chocolate dip is made. 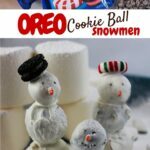 Then dip each of the chilled cookie dough balls in the chocolate dip, rolling around with a fork or spoon. Remove and place on wax paper. If you’re a sweet n’salty fan like me, sprinkle a few sea salt flakes on top of each of the bites. 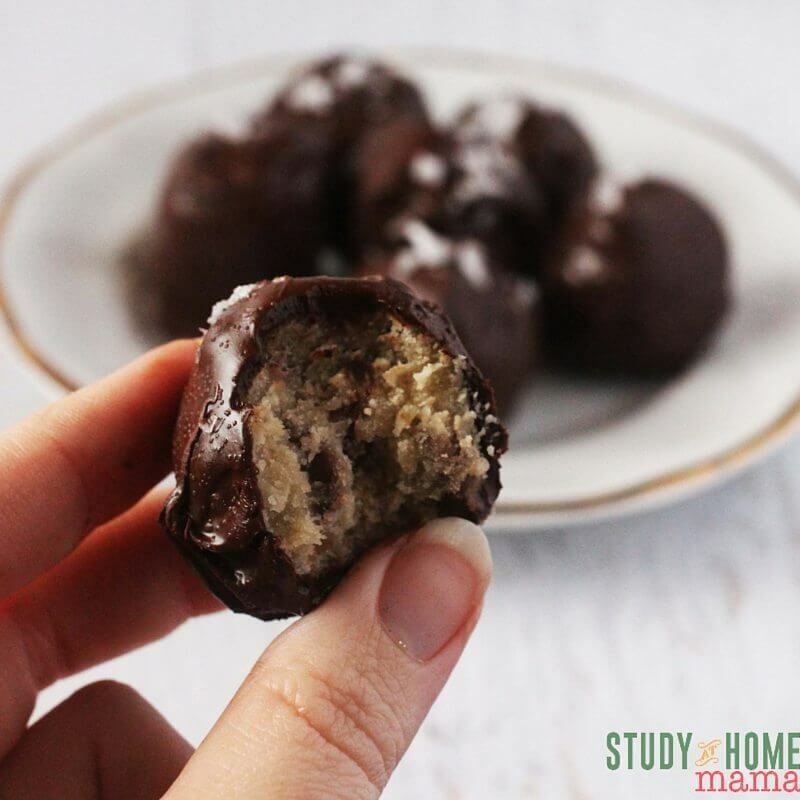 Allow your No Bake Cookie Dough Bites to cool and harden completely before serving. No Bake Cookie Dough Bites are the perfect little treat your kids will love to make – and perfect for last-minute guests! Your kids will love making Kids’ Kitchen: White Gazpacho with a creamy dip your kids will eat before it gets to the bowl. 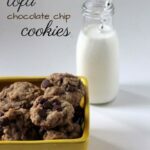 Or add Tofu Chocolate Chip Cookies to your next rainy day activity list! Add in the flour 1/2 cup at a time. Mix well after each 1/2 cup, but don't over mix! Your dough should be moist, but not wet. Add in chocolate chips. 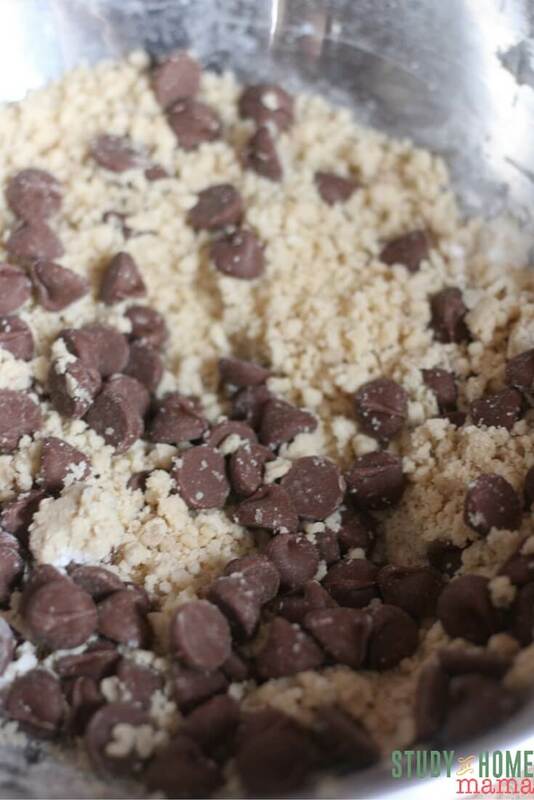 Mix just enough to incorporate the chocolate chips. 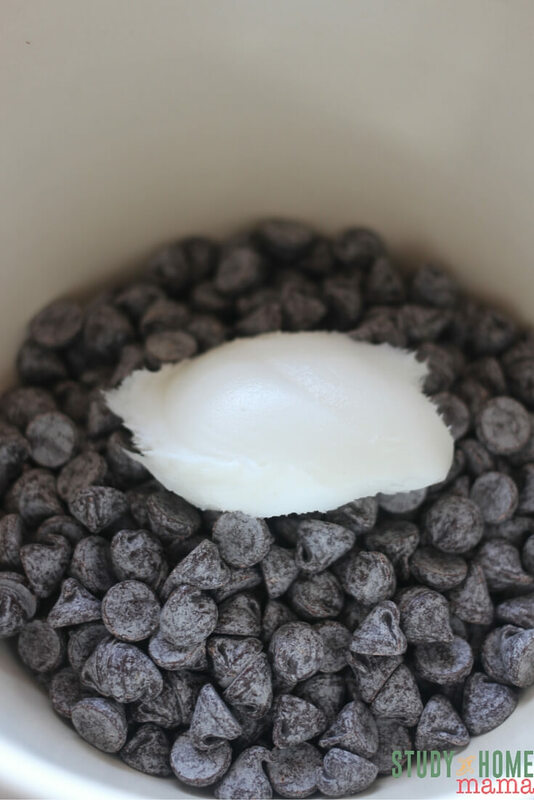 How To Make Chocolate Dip In a microwave safe bowl, add chocolate chips and shortening. Heat for 30 seconds on medium. 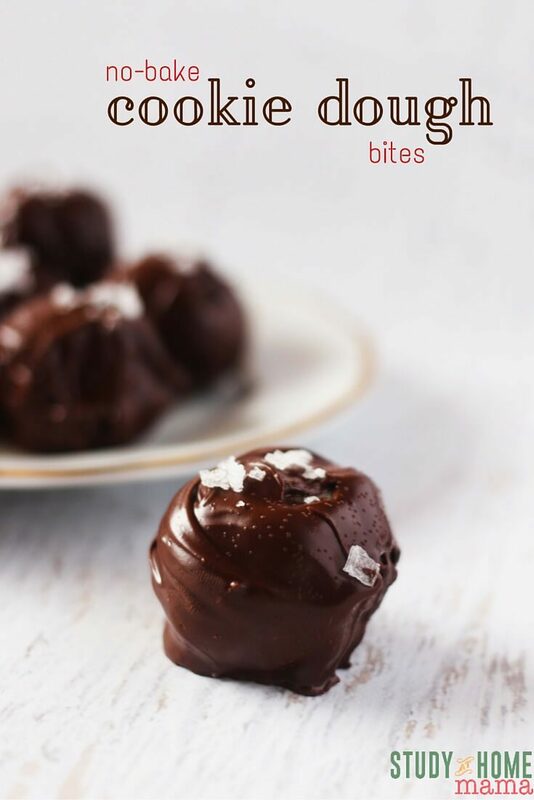 Then dip the chilled cookie dough balls in the chocolate dip, rolling around with a fork or spoon. Remove and place on wax paper. Sprinkle a little sea salt flakes on top of each of the bites. 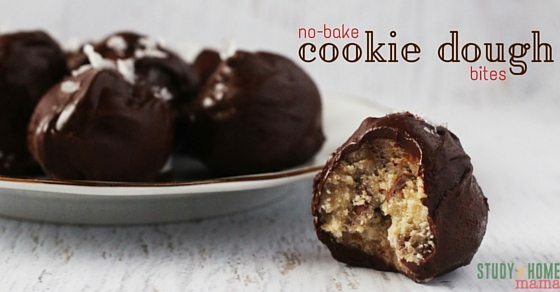 Allow the No Bake Cookie Dough Bites to cool and harden completely before serving. I prefer almond flour for this recipe, but if using wheat flour, microwave for 15 seconds, 5 times – stirring in between each reheating. 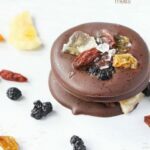 You can skip this if using almond or coconut flour.